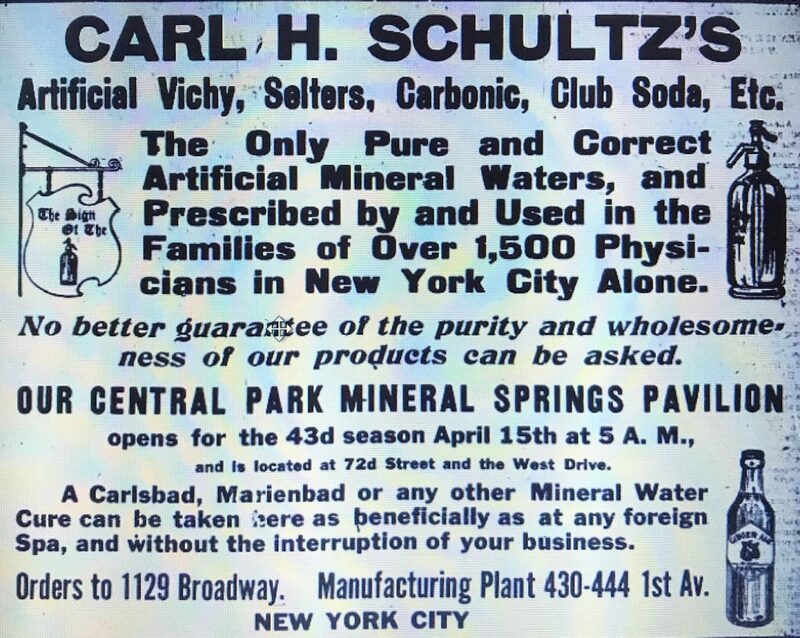 Carl Schultz first began producing artificial mineral waters in 1862. At around this time, he met Thomas Walker who had invented the siphon bottle and they went into business together. 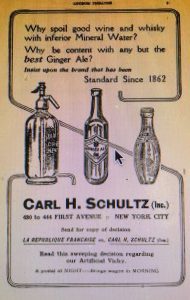 The business was initially called Schultz and Walker and was listed at 133 Fourth Avenue from 1864 to 1868 and 112 East 14th Street from 1868 to 1872. 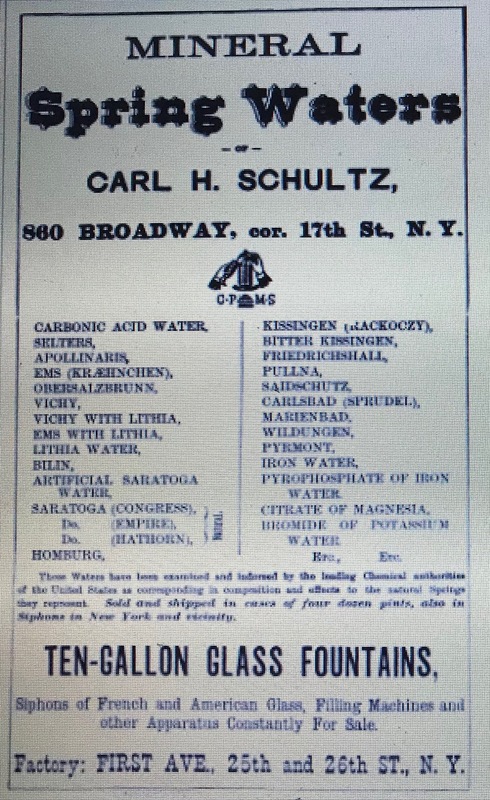 Around 1873 they began listing two addresses: 436 First Avenue and 860 Broadway and by 1877 they had dropped the Walker name and the business was renamed Carl H Schultz. An full page advertisement in the 1876/1877 directory indicated that their factory was located at the First Avenue location. I assume that Broadway served as their retail location. The factory remained at the First Avenue location through most of the 1920’s but it appears that their retail locations moved around. In the mid 1880’s they listed 76 University Place and a 1909 advertisement specified that orders be sent to 1129 Broadway. 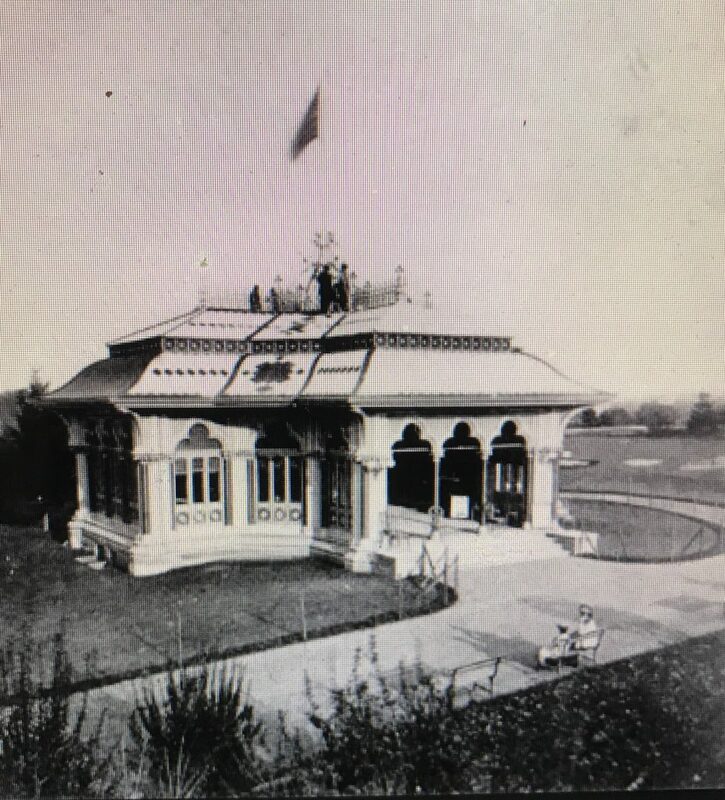 Carl Schultz also operated a Mineral Springs Pavilion in Central Park at the north end of Sheep Meadow that opened in 1867. One of the most attractive features of the Park – in all things beautiful and attractive – is the Moresque structure that stands on a gently rising eminence within earshot of the Mall. It combines, with a rare picturesque of appearance, the attractive utility of furnishing to the thirsty pedestrian the very thing which on a hot and dusty day he looks around him to procure – namely, a drink at once refreshing, palatable and nonintoxicating. The Central Park mineral springs, under the care of Schultz and Walker, where all sorts of mineral waters are kept, make the feature of the Park, which all the visitors thereto feel bound to appreciate. If refreshment and mineral water cures were not enough, visits to the Mineral Springs could also reduce your weight. Carl Schultz died in 1897. The 1907, 1914 and 1919 Copartneship and Corporation Directories all list Rudolph and Walter Schultz as Directors of the Schultz Corporation, so it looks like the business remained in the family at least through 1919. In 1928 The Schultz Corporation merged with Schoneberger and Noble and Brownie Corp. (makers of the Brownie Chocolate Drink) to form the American Beverage Corporation. Around this time the new company moved to 118 N 11th Street in Brooklyn. Schoneberger and Noble were the bottlers for the famous Dr. Brown’s Celery Tonic. In 1953 the name was changed to Cel-Ray as a result of the Food and Drug Administration’s issue with the word tonic in the title. By the 1920’s the Central Park pavilion had become a soft drink and candy shop and in 1957 it was demolished. 440 First Avenue is within the current limits of the Bellevue Hospital complex and no longer exists. Next Next post: E D Seabury, Rockville Centre, L.I.